Each year LatinFinance's Deals of the Year Awards recognize outstanding transactions as well as the people and institutions that made them happen. The 2018 Deals of the Year Awards celebrate excellence in the capital markets of Latin America and the Caribbean from October 1, 2017, to September 30, 2018. The LatinFinance editorial team carries out a comprehensive review of financial markets activities over the previous 12 months examining the progress and innovations that have taken place, identifying the landmark transactions and the borrowers, banks and law firms that made them happen. Awardees are selected by the editors of LatinFinance, taking into account the size, complexity, innovative elements, market significance and execution of each transaction. Each decision follows an extensive consultation process with a range of industry experts. Browse photos from the Deals of the Year Awards Dinner in New York City below or click here for the full gallery. Click any of the sections below for full details on the selection process. The 2018 Deals of the Year Awards selection will take a three-step process as outlined below. In both cases, LatinFinance will verify that each transaction submitted is eligible for consideration before including it in the shortlist. Typically this involves checking the transaction has closed within the timeframe under consideration (October 1, 2017 to September 30, 2018). All eligible transactions and institutions nominated internally and externally are included on the shortlist. The shortlist is not published. External nominations are limited to one transaction or institution per category. Nominations must be submitted via the official nomination form, which must be returned by email as an excel document. Institutions are invited to submit further documentation to support their pitch. The deadline for submission of external nominations is Thursday, October 4, 2018. Institutions may request meetings and calls with the selection committee. Meetings are available at 10am and 2pm Monday-Friday from September 25 to October 19. Where an institution has nominated transactions or institutions for more than six (6) categories, we request that two appointments are made, divided by asset class. 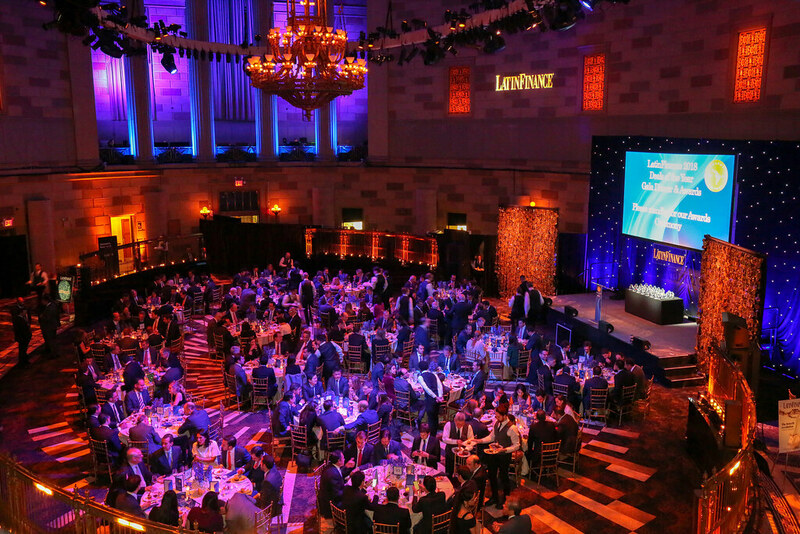 Winners will be informed by LatinFinance’s editor by early November, with the news embargoed until winners are publicly announced at our awards dinner in New York City in January 2019. Click here to download the official nomination form. Email the completed nomination form to awards@latinfinance.com with "2018 Deals of the Year nominations" in the subject line by end of day on October 4, 2018. Send inquiries to awards@latinfinance.com with "2018 Deals of the Year Awards" in the subject line.